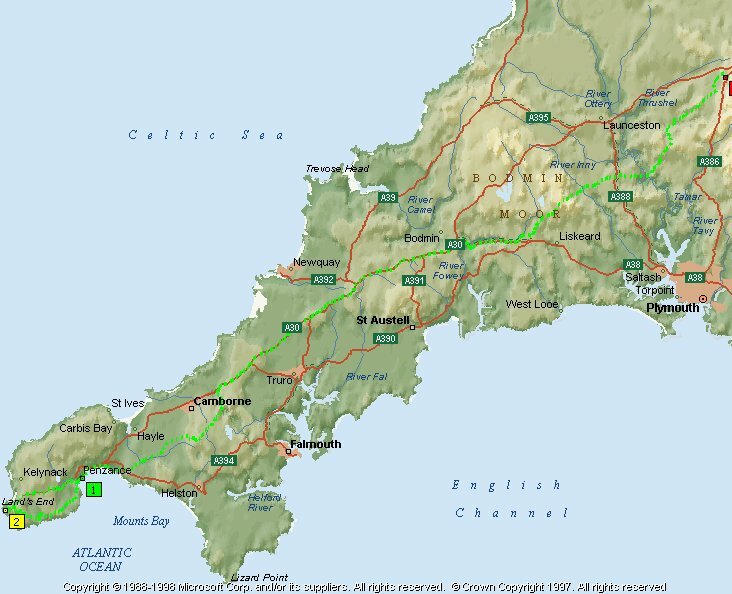 Day 0 After work on Friday we make our way to Paddington where we board the sleeper train arriving in Penzance at 8:30am. From Penzance to Okehampton via Lands End 109 miles. We have to get to our hotel in time for the Euro 2000 England v Germany match so no dawdling. 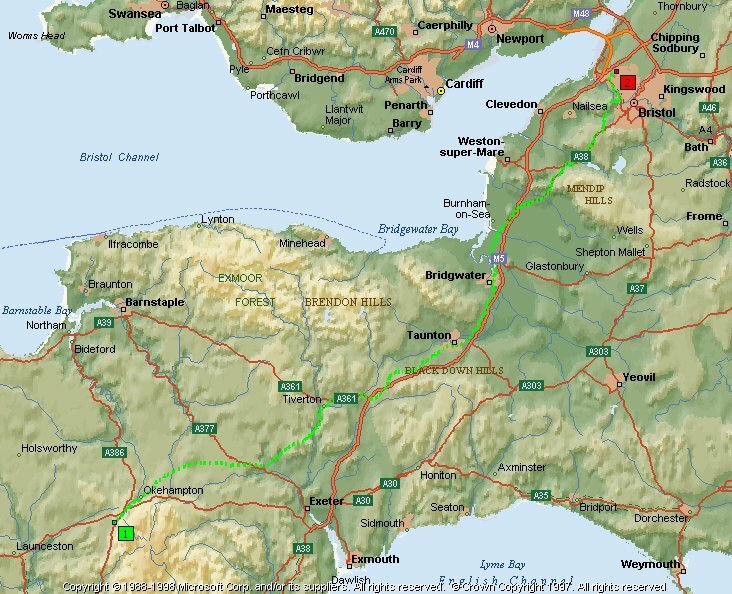 From Okehampton to Bristol via Taunton 102 miles. Looks like there will be some awkward little hills today. 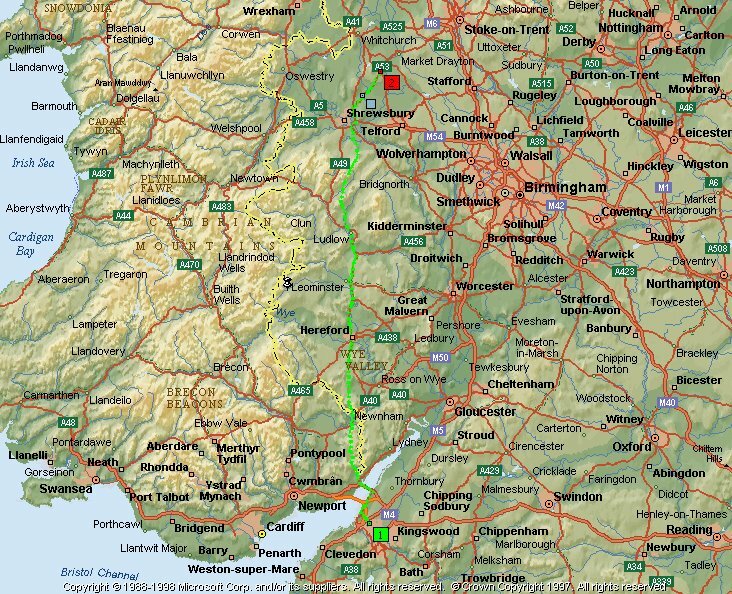 From Bristol to Shrewsbury via the Wye Valley 108 miles. Hoping for some pleasant scenery. 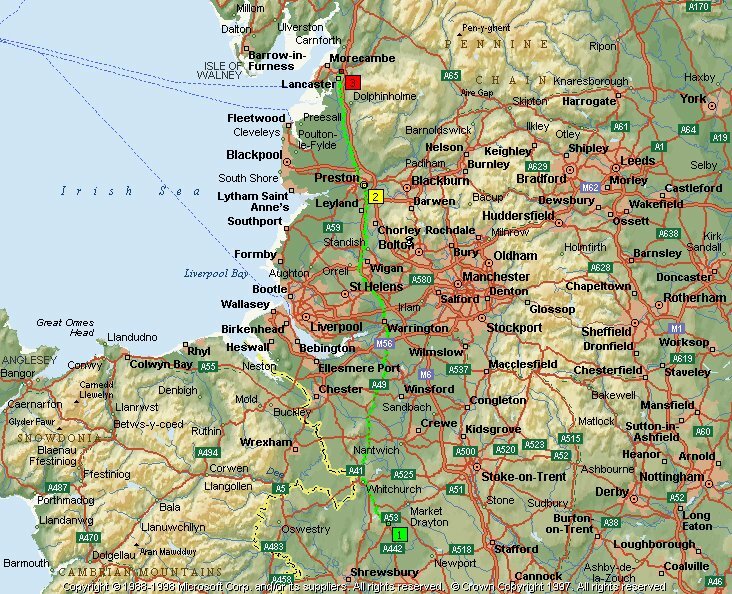 From Shrewsbury to Lancaster through the Industrial North West 95 miles. This is home turf hoping to pick up a pint of Thwaites Bitter somewhere along the road. 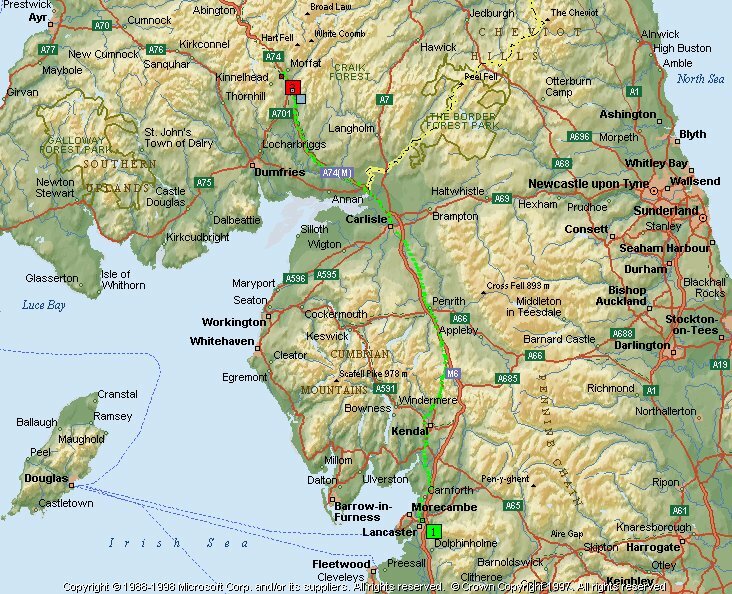 From Lancaster to Moffat via Shap 96 miles. If its not raining up here this will be a surprise. Good question if the Huntingtower is full theres not a lot else. 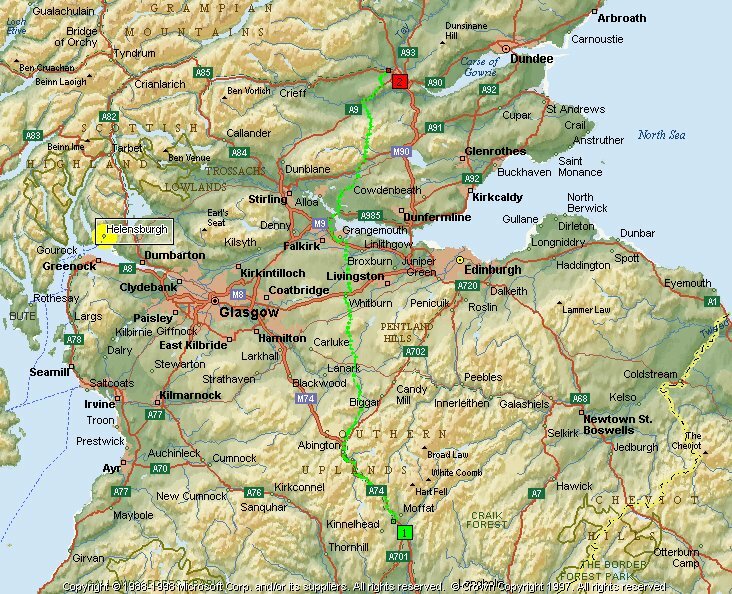 From Moffat to Perth 96 miles. We may meet Dave's mates in Perth. A bed in or near Perth. From Perth to Aviemore via the A9 82 miles. 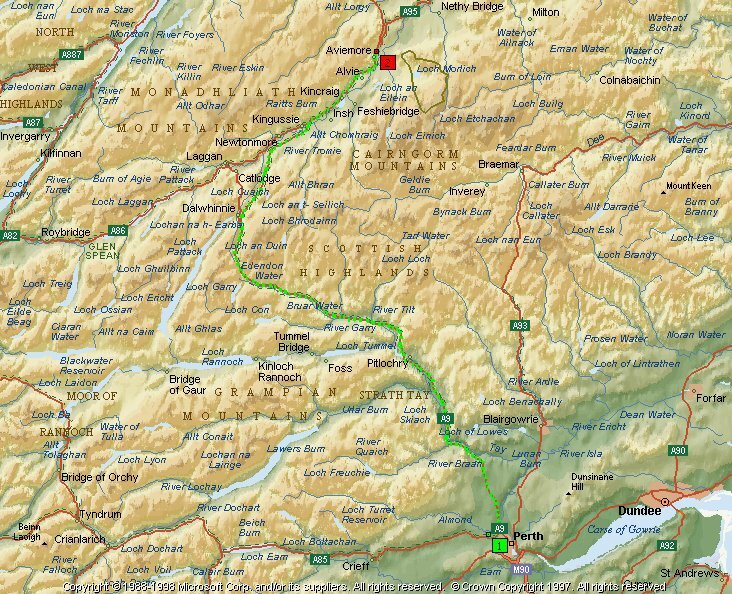 A shorter trip to make up for the mountains. A skiing chalet in Aviemore. 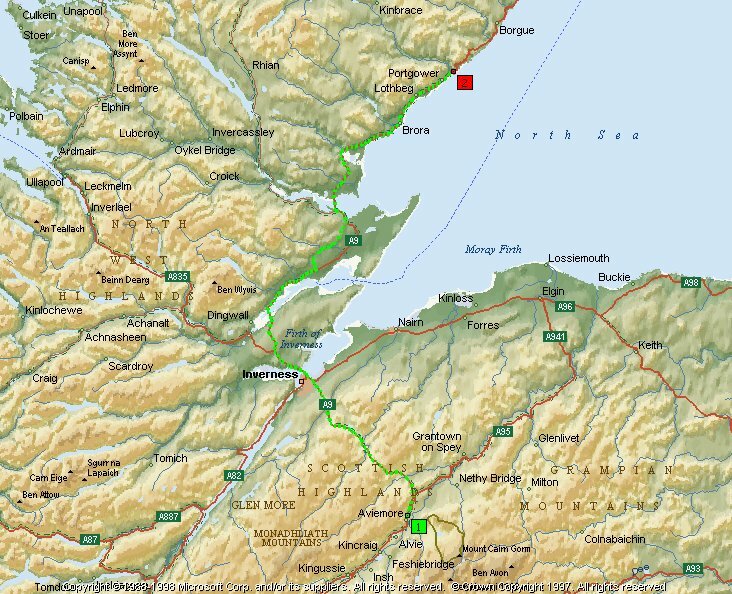 From Aviemore to Helmsdale via Inverness 93 miles. The midges should be out in force in this neck of the woods. 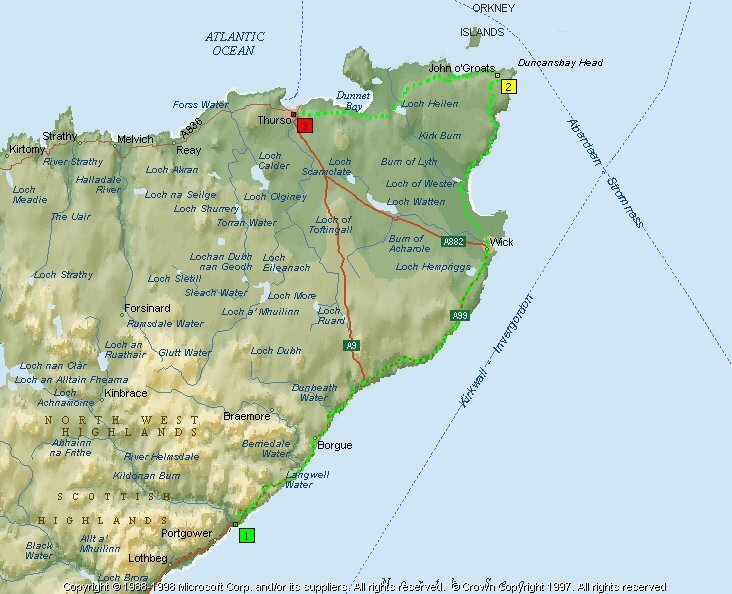 From Helmsdale to Thurso via John O'Groats 72 miles. A sleeper train back to London.